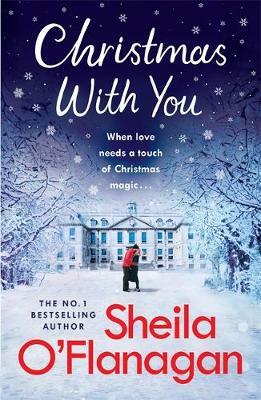 Sheila O'Flanagan's romantic and heart-warming Christmas With You is perfect festive reading for fans of Veronica Henry, Carole Matthews and Marian Keyes. These enchanting linked short stories from the No. 1 bestselling author bring to life one unforgettable Christmas full of surprise twists, life-changing moments...and love. These enchanting linked stories bring to life one unforgettable Christmas full of surprise twists, life-changing moments ... and love. Christmas With You was previously published as A Season to Remember. Now with two poignant new stories added. What a lovely, romantic and charming collection of short stories. A wintery read that will make you feel all cosy for the festive period. Grab a hot chocolate curl up and lose yourself in the Christmas magic!